Web Designers build websites but at Best Buck Sites our teams specialize in building and developing Internet Businesses!!! We dont just sit behind the desk in Culver City or Inglewood waiting for business to happen - we get out in Culver City, Inglewood and the surrounding South Bay area, and make it happen. Our complete Internet Business package include concept development, business consultation, domain registration, a professional website design, branding, email consolidation, social media optimization, IT solutions for more efficient management and a designated team to assist you along the way. We have the tools, resources and know how to build your Brand and a Professional Identity that will get your Business of the Ground and Online. A consultant's job is to consult. Nothing more - nothing less. It's that simple. But what separates a good consultant from a bad consultant is ones passion and drive for excellence. a good consultant should be knowledgeable about the subject he or she is consulting in. That makes a difference. We handle all types of Business services including but not limited to Premium Website Designs, Corporate Media Kits, Multimedia, Concept Development, Brand Management, Mass Marketing, Technical Computer Support and Professional Networking. 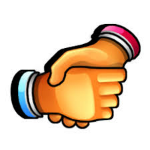 Another attribute that makes us different: we put the handshake back into business. That means we actually care about the success of your business and also want to make sure you understand the inter-workings of your internet business or technical solution we may be assisting. Our goal is to create functional business tools to take our clients ideas from conceptual to tangible success. This philosophy can be summed into two words, "customer satisfaction" across the board. Best Buck Sites is not a gamble or get-rich-quick scheme it a simple way to make extra cash by providing services that are in demand for every business and/or individual who uses technology today. According to a recent report, sales of computer services are expected to exceed $47 billion this year in the U.S. alone, with PC repair leading the way. With this being said Best Buck Sites, LLC is offering a piece of the pie to everyone who qualifies and registers for our affiliates program. We'll give you up to 15% commission for everyone you send to our surrounding stores for computer repairs, website designs and other professional services provided. Together we can break the bank... and here's that little boost, to push you ahead, no matter what your financial situation may be. USA has an estimated 223,810,000 personal computer users across the country, we plan to obtain a large percentage of those service calls in 2014. To make things even easier, we provide you all the tools. In plain English: Send a Customer and GET PAID!... send us more Customers and GET PAID MORE! You can make approx. $400 (or more) a week, without any 5 step instruction manual or secrets. To qualify all you need to do is utilize any of our services and write a review sharing your experience. Afterward register, tell a friend, meet someone new or post it on your facebook page... to start getting PAID! Use your imagination to find clever ways bring exposure to your network. We provide the rest: experienced technicians, multiple drop spots, delivery services, professionalism and friendly service with a smile. Share your experience for the world to see. Yelp leave a comment. Click here to fill out the form and we will get back with you pretty quick.